TORONTO (March 14, 2016) – There’s a new kid in town and he has big shoes to fill. 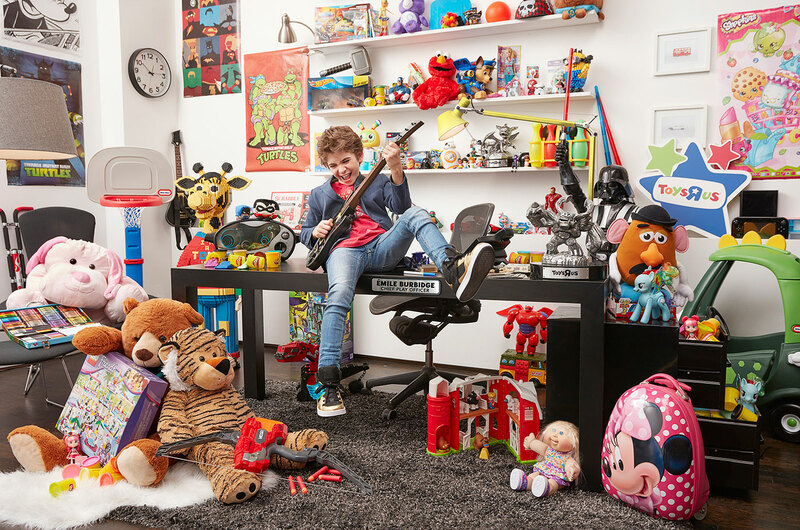 Out of hundreds of submissions from across Canada, 12-year-old Émile Burbidge from Saint-Bruno (Québec) has been hired by Toys“R”Us, Canada as its new Chief Play Officer (CPO). Émile will spend a fun-filled year playing with and becoming the expert on the hottest new toys, games and gadgets from Toys“R”Us and providing his recommendations to parents and gift-givers. He will also take part in English and French media appearances and attend events across the country on behalf of the company. While Émile already has more than a decade of toy experience behind him, he can expect a year of play like no other as Toys“R”Us, Canada’s top toy expert. To prepare for the role, he has been busy getting hands-on toy training with toy manufacturers and receiving the first delivery of the coolest new toys to his home. His first task as CPO will be to hit the road to share his top picks for the best toys and games for spring. Parents and guardians from across Canada helped their kids apply to be the next CPO by submitting a video online showing their passion for toys. The top finalists were then invited to meet with Toys“R”Us to show that they had what it takes to step into the coveted role. Émile came out on top with an unforgettable pitch for why he should be the next CPO. Émile takes over the position from Alex Thorne, who served as CPO from August 2013 to December 2015, when he retired at the age of 13 to focus on high school. Alex’s last task as CPO was to help pick his replacement.